IT'S HERE. CHUNKY KNIT SWEATER SEASON IS HERE. IT’S HERE. 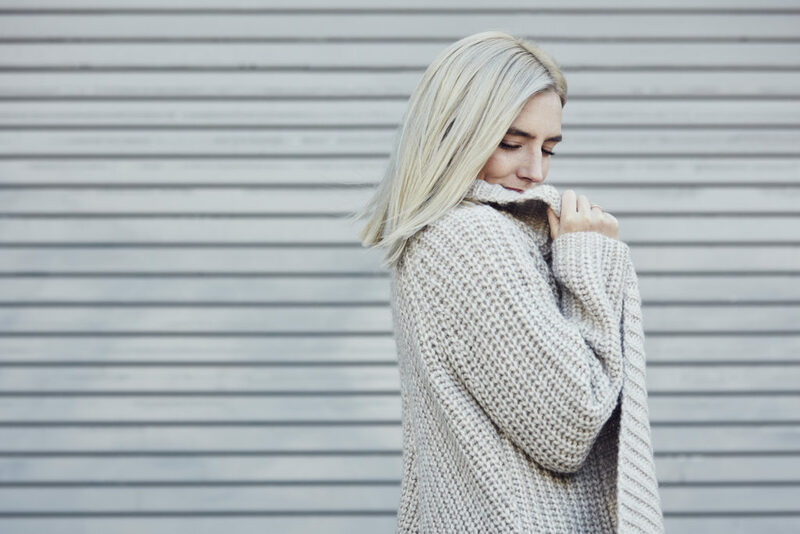 CHUNKY KNIT SWEATER SEASON IS HERE. Home / FASHION / IT’S HERE. CHUNKY KNIT SWEATER SEASON IS HERE. It’s “literally freezing” here in LA (says literally every girl living here. It has finally managed to drop below 65 degrees and all I can think to myself is HALLELUJAH, I can start wearing blankets with arm holes out in public. I look forward to many things during the holiday season but bundling up and throwing on cozy oversized jackets and sweaters is somewhere close to the top of that list. I can hide my Thanksgiving dinner better, I can go from dinner straight to the couch in them, and all the while look perfectly acceptable not to mention fashionable in public. Win win if you ask me. The thing you have to be careful with when it comes to cozy sweaters is that more often than not they end up not being as cozy as they appear. Meaning they’re itchy, scratchy, and not made of material you’d want touching your body. REAL cozy typically comes at a price, case in point, cashmere, but there are alternatives. The cozy number I’m wearing in this post – from Jigsaw London, one of my all time favs – is one of the softest, warmest, comfiest sweaters I’ve had the privilege of wearing and it’s actually made from part alpaca wool. A good portion of it is straight up wool as well, but it’s not 100% – which I’ve found is key. 100% wool is 100% not fun. While you’re doing your Black Friday or Cyber Monday shopping this weekend be sure to keep that in mind as you get your chunky sweater shopping on! Previous postWeek No. 21 | The Apple Pan Next post12 DAYS. 12 BRANDS. 12 EPIC GIFTS TO WIN.